If you’re a designer, developer, or just someone who has the desire to create websites that are not only beautiful to look at but also easy to use and fully accessible to everyone, including people with special needs, UX for the Web will provide you with the basic building blocks to achieve just that. Discover the fundamentals of UX and the User-Centered Design (UCD) Process. If you want to create web apps that are not only beautiful to look at, but also easy to use and fully accessible to everyone, including people with special needs, this book will provide you with the basic building blocks to achieve just that. 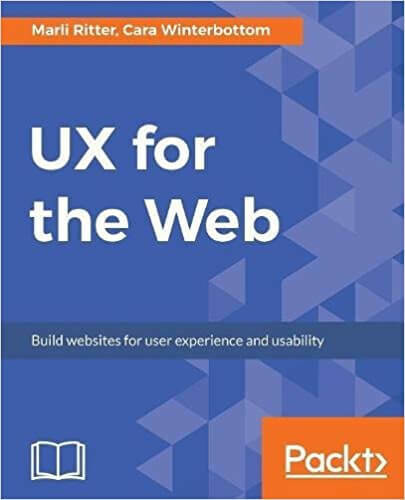 The book starts with the basics of UX, the relationship between Human-Centered Design (HCD), Human-Computer Interaction (HCI), and the User-Centered Design (UCD) Process; it gradually takes you through the best practices to create a web app that stands out from your competitors. You’ll also learn how to create an emotional connection with the user to increase user interaction and client retention by different means of communication channels. We’ll guide you through the steps in developing an effective UX strategy through user research and persona creation and how to bring that UX strategy to life with beautiful, yet functional designs that cater for complex features with micro interactions. Practical UX methodologies such as creating a solid Information Architecture (IA), wireframes, and prototypes will be discussed in detail. We’ll also show you how to test your designs with representative users, and ensure that they are usable on different devices, browsers and assistive technologies.